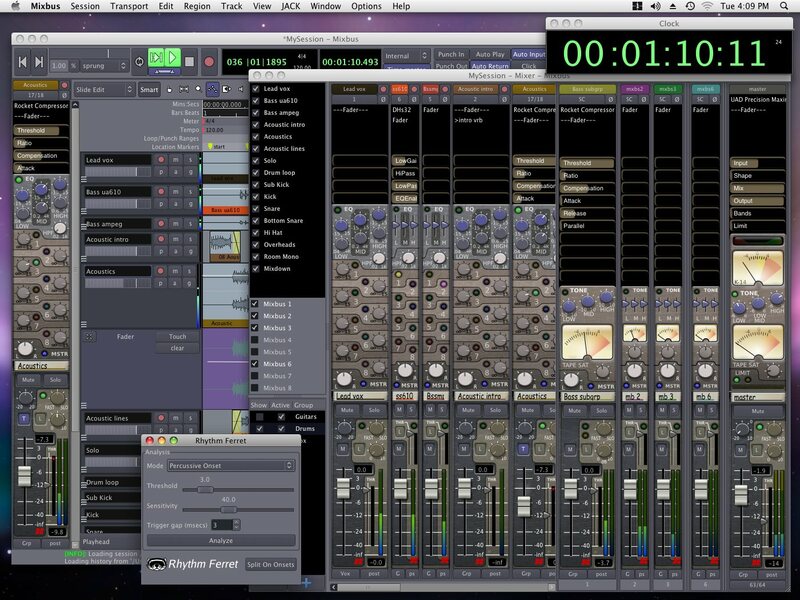 We’ve been watching Harrison Mixbus, a DAW and mixing, editing, and recording workstation, as it has matured. In a crowded world of similar tools, this tool, powered by the open source Ardour DAW, nonetheless sets itself apart. Robust, console-style mixing meets modeled Harrison DSP and extensive editing options, appealing enough that many Mixbus users employ it as a mixing front end even with other tools. On Linux, it finally makes the open source Ardour more palatable, but on the Mac, too, it’s winning some converts. Finding an inexpensive DAW from a leading, ultra-high-end console maker – let alone one that plays well with free software – continues to be a pleasant surprise. 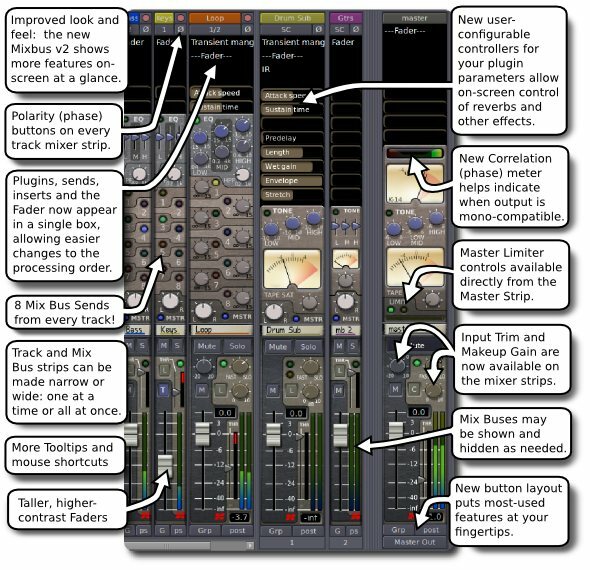 Mixbus 2.0 adds a great deal of additional functionality. As expected, that also includes a price hike; the software will cost US$219. That’s still awfully low given the quality of mixing and track processing effects you get; similar channel strips alone could cost as much or significantly more, and wouldn’t be integrated in a host in the way they are in Mixbus. And you get a far more fleshed-out tool with the upgrade. Mix bus sends, the signature and namesake of the tool, are doubled to eight from four. Map plugins controls directly on the mixer strip – that I don’t think I’ve ever seen in a host before, actually. Improved views: More controls in the main Mix window. Narrow mixer strips, hide/show mix buses. Consolidated plugins, sends, inserts, faders. Phase correlation meter, for checking how stereo mixes will bounce to mono. 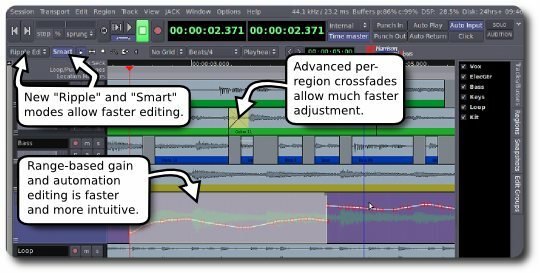 Crossfade, layering, and automation editing improved. Ripple edits in Ardour, at long last. Transparent regions during drag operations for easier edits, and a “Smart Object” mode that requires less tool mode switching. The upgrade also expands upon previously rather lean documentation, improves installation, adds key bindings, improves the UI and menus, enhances range selection, improves realtime automation recording, and enhances various other features which Harrison says were user-requested. I’ll be evaluating the new version on both Mac and Linux. Stay tuned – and let us know if you have any questions (or if users out there have any tips).